The San Jose Blog: Rotary PlayGarden is Now Open! Rotary PlayGarden is Now Open! A brand new two-acre playground built as part of the Rotary Club's 100th anniversary is now open off Coleman in the Guadalupe River Park. The $6 million playground was designed specifically so that all children can play together, even if they have special needs. There are slides, a merry-go-round, teeter-totters, swings, musical elements, sand-and-water play, and climbing structures. It is quite possibly the nicest playground in the Bay Area, so go check it out with the younger members of your family! 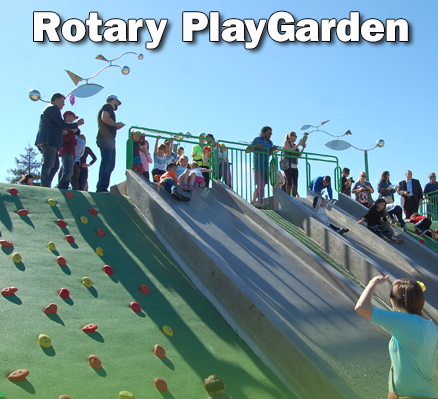 For more information on the Rotary PlayGarden, head over here. San Jose Rotary PlayGarden Ribbon Cutting 2015 from WMS media Inc. on Vimeo.